Traveling with a baby means lugging around a handful of baby gear. And every parent in this situation can only wish there’s a more lightweight, compact, and double- or multi-purpose product for everything on the list of baby travel essentials. For this, the BABYBJORN Travel Crib Light is worth looking into. And, it comes with a zip-up bag for easy travel and storage. It assembles in less than a minute. Just swing the frame open and it locks into place. Folding it up is a breeze as well. The surround mesh allows more room for ventilation and maximum visibility of the baby inside. The mattress is thick enough. More than being JPMA-certified, it is Oeko-Tex This means its fabrics have tested negative on a wide array of harmful and allergenic substances such as fire retardants. Its base plate gives the travel crib its shape and keeps it standing firmly on the floor. 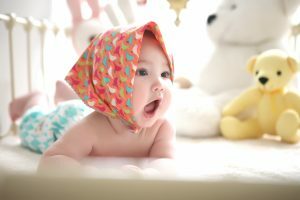 It makes sense that its mattress cover and crib fabric are machine-washable since it is bound to be spat, drooled, peed, and soiled on. 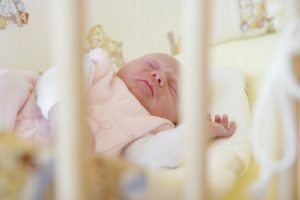 Because it’s low-lying, putting a sleeping baby in a deep crib without waking him/her up might be a great feat—that includes, trying your best not to fall in as well. For those who have issues with a crib lying on the floor, you might not find this product to your liking. The legs can be a tripping hazard. The product is not considered a carry-on when traveling by plane. The Baby Bjorn Travel Crib is a good travel companion for parents looking for a safe place for the baby to sleep in. 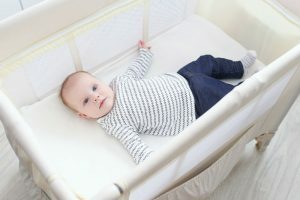 It is durable than most travel cribs and its materials are free from a wide-range of harmful and allergenic substances. As for the design, it blends quite well in a modern home with its minimalist look. At 44” x 25” x 32” it is also roomy enough for the baby to sleep and play in. 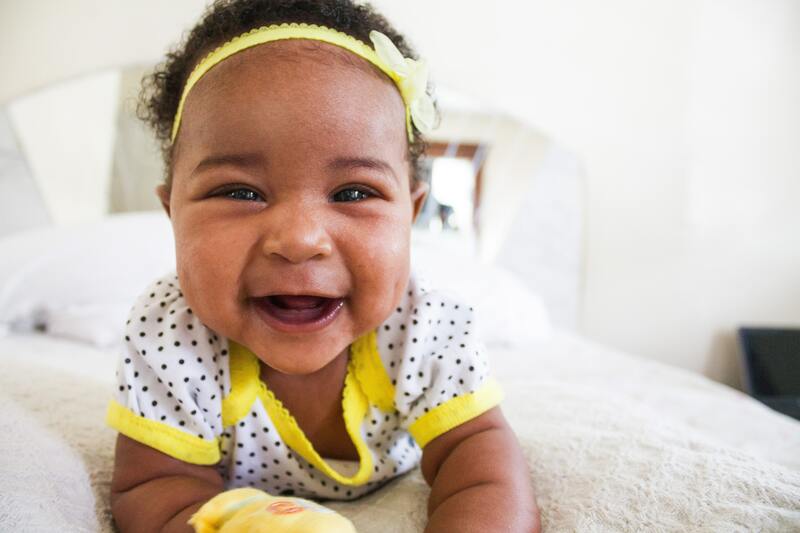 For some parents though, they might find the depth of the crib challenging. It certainly could have used a side door like the one that Lotus Travel Crib has. 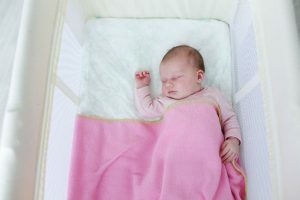 A removable, full-size bassinet like Graco Pack N’ Play Playard Nimble Nook’s could have certainly made things a little easier as well—although bassinets are only ideal for newborn babies up until a time that they can already roll over. Another thing to consider, in relation to the design, is the angled frames that can be a tripping hazard. Also, the Baby Bjorn Travel Crib certainly could have used a raised base like the Nuna Sena Travel Cot to keep it little above the ground. The fabrics of the Baby Bjorn Travel Crib are washable though. As for portability and ease of assembly, the Baby Bjorn Travel Crib ticks off these two criteria. In under a minute, the crib can be set up. It is also lightweight and compact and comes with a zippered bag to hold everything in. The only downside to the product in the portability category is that at its folded-up state, it’s still too large to qualify as a carry-on bag. On the other hand, the Lotus Travel Crib and Portable Baby Playard don’t need to be checked in and comes with an option to carry it as a backpack. If you’re looking for extra features, you can also check out Fisher-Price Ultra-Lite Day and Night Play Yard that comes with an inclined sleeper and changing station. 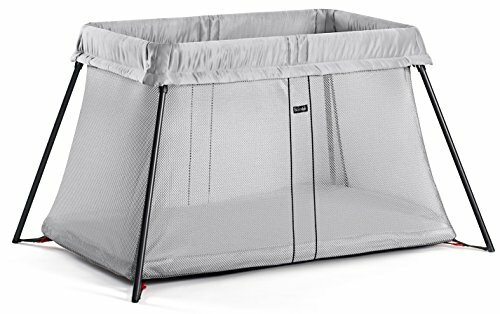 Overall, the BABYBJORN Travel Crib Light is a good deal already, considering that the product is well-made, Oeko-Tex certified, easy to assemble, and portable. As most products, there are certainly rooms for improvement. But depending on your needs and lifestyle, it may turn out to be the perfect travel crib for you. When purchasing this item though, don’t forget to buy a cover sheet for the mattress because the pack doesn’t come with it.